Beat This Caption Contest 7 Winner – Caption Contest Funny Clever Witty Enter Today! Doc, I think I feel your Root Canal! 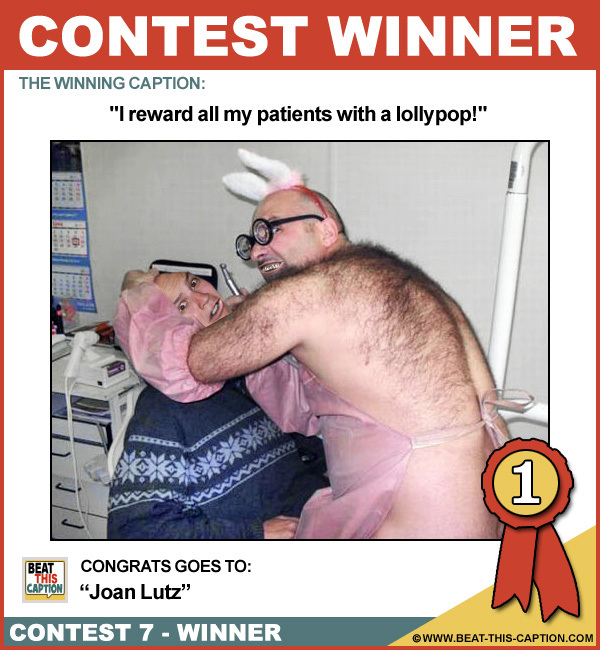 I reward all my patients with a lollypop! That’s it, sqeeze the tube of toothpaste from the bottom up! I always get hair in my mouth! That is one cavity you won’t be filling! The New Obama Health Plan! Oh don’t worry, you’ll know when to spit!